Meizu has introduced Meizu M6 Smartphone in China.It features a 5.2-inch HD 2.5D curved glass screen powered by a 1.5 GHz Octa-Core 64-bit MediaTek MT6750 processor. It has a 2GB RAM with 16GB storage / 3GB RAM with 32GB storage, expandable up to 128GB with microSD. Dual SIM device runs on Android 7.0 (Nougat)-based FlymeOS 6 on top. It has a 13-megapixel rear camera with 4-color RGBW flash and an 8-megapixel front-facing camera. Meizu M6 has a polycarbonate body with a metal frame and metallic lines feature a mTouch fingerprint sensor embedded into the home button that can unlock the phone in 0.2 seconds, Packed with a 3070mAh battery. 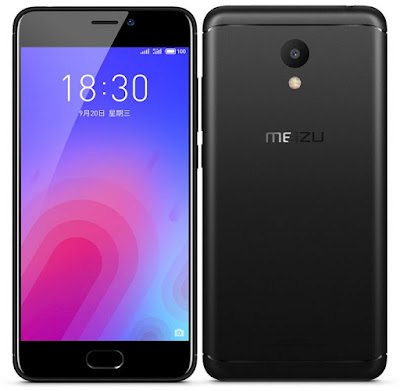 Meizu M6 comes in Moonlight Silver, Champagne Gold, Matte Black and Electric Blue color priced at 699 yuan for the 2GB RAM with 32GB storage version and the 3GB RAM with 32GB storage version costs 899 yuan. It will be available for order from September 25 in China.